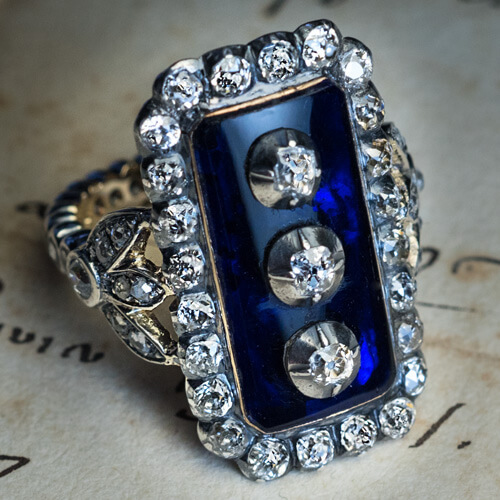 This impressive late 18th century, circa 1790, silver-topped gold ring is vertically set with a large cobalt blue glass plaque centered with three old cut diamonds set in silver cut down settings. The glass plaque is framed by 24 chunky old mine cut diamonds set in silver over gold. 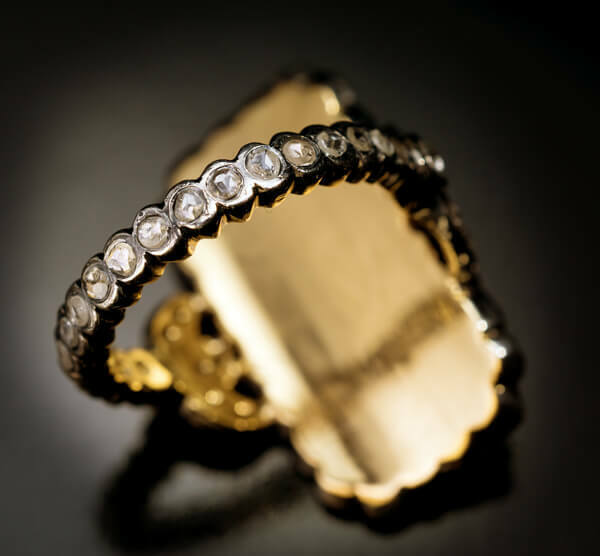 The trefoil-shaped shoulders of the ring are embellished with old mine cut diamonds. 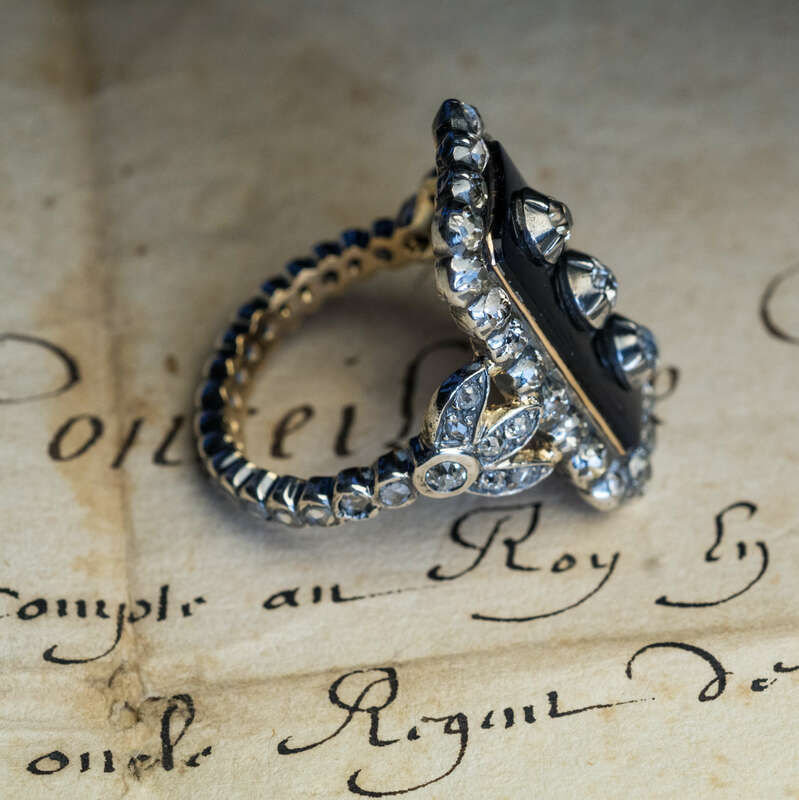 The shank is encrusted with old rose cut diamonds. The diamond-set shank and trefoils are later Victorian era replacements from the mid to late 19th century. 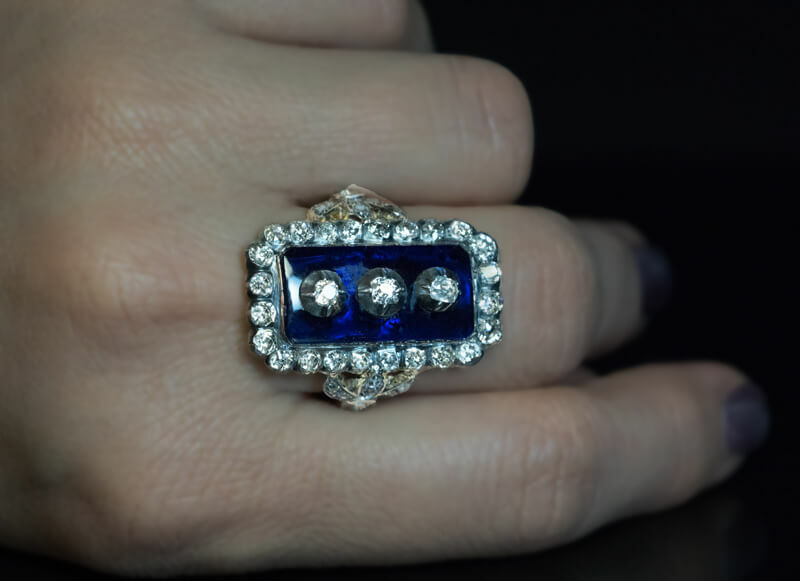 Current ring size is approximately 12.5. 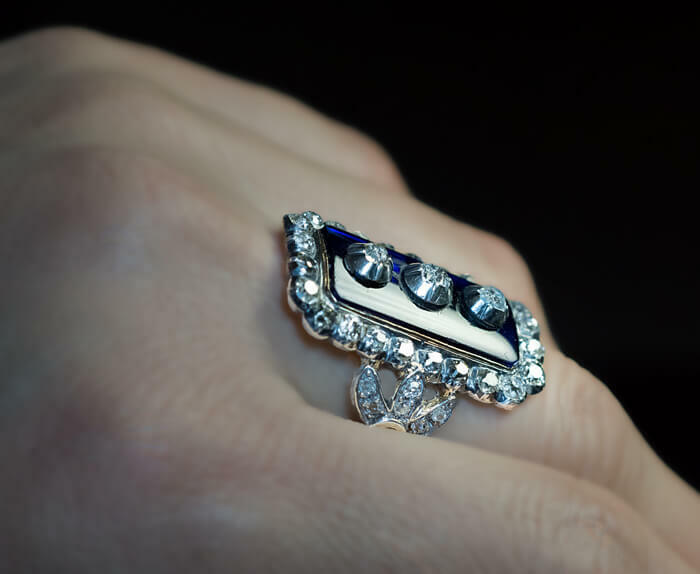 The ring can be sized down up to a size 7.5 by cutting out diamond sections of the shank. 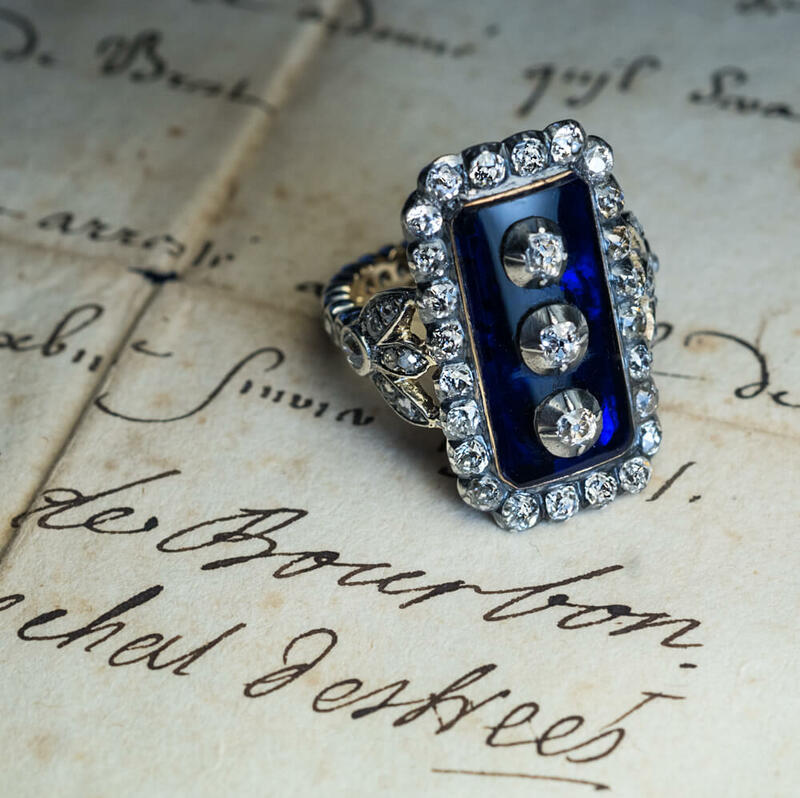 Estimated total diamond weight is 5 carats.